All good things come from Australia, right? 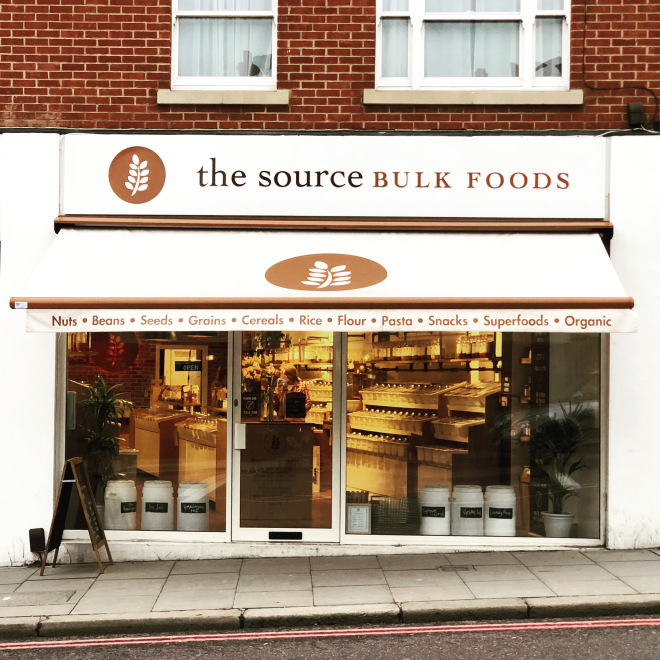 Well this bulk food store certainly dose, and my goodness are we happy that The Source has opened its doors in the UK. Its Battersea location has everything from vegan donuts to loose protein powder, so there is really no excuse to still be buying food wrapped in plastic! Why we love them: They categorise their inventory by really useful heading such as ‘vegan friendly,’ ‘paelo,’ ‘superfoods’ and so on, making bulk shopping super simple.